This module is helping customer to pay for their orders online in Indian INR currency,and allows you to integrate CCAvenue payment gateway with simple installation. The CCAvenue Transaction Gateway offers e-merchants a one-stop solution for processing e-transactions ranging from credit card transactions to direct debit from their online bank accounts. CCAvenueTM is South Asia's largest payment gateway solution powering 85% of eMerchants in India with real time, multi-currency, multiple payment options online payment processing services. CCAvenue is the only complete PG solution in the region that has the unique ability to offer the full spectrum of Internet payment options. Here are some of features of implementing payment gateway solution provided by CCAvenue. 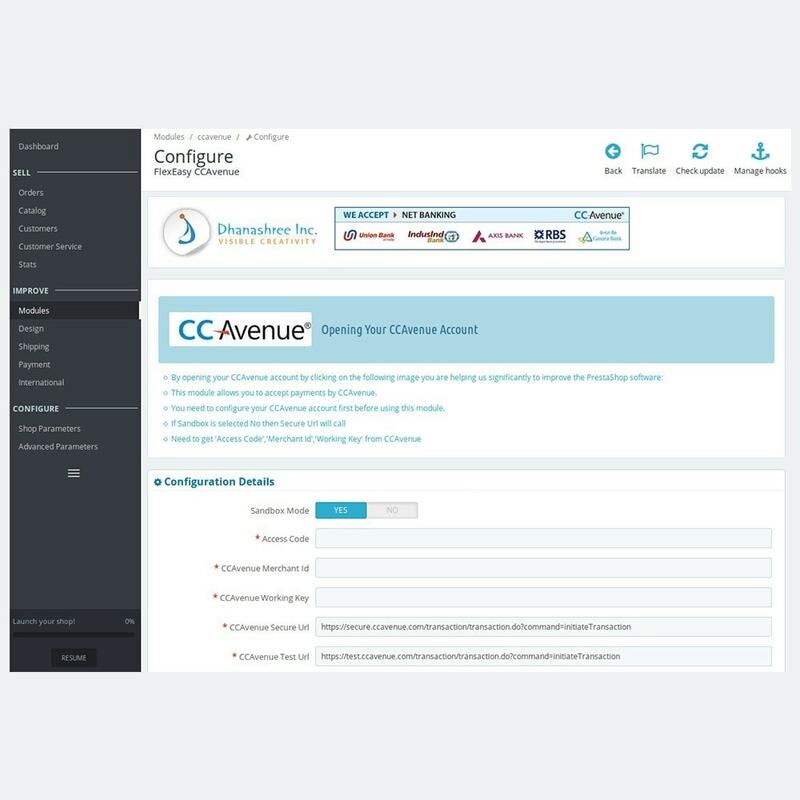 CCAvenue is easy to implement at your site as it eliminates the need of any elaborate software, large database and expensive processing capabilities. This enables you to reduce the costs and risks on expensive computing resources. All payment operations are handled and authorized by us, using a 24 x 7 high security payment gateway server, allowing you to focus on initiatives and strategies, which is profitable to your business. 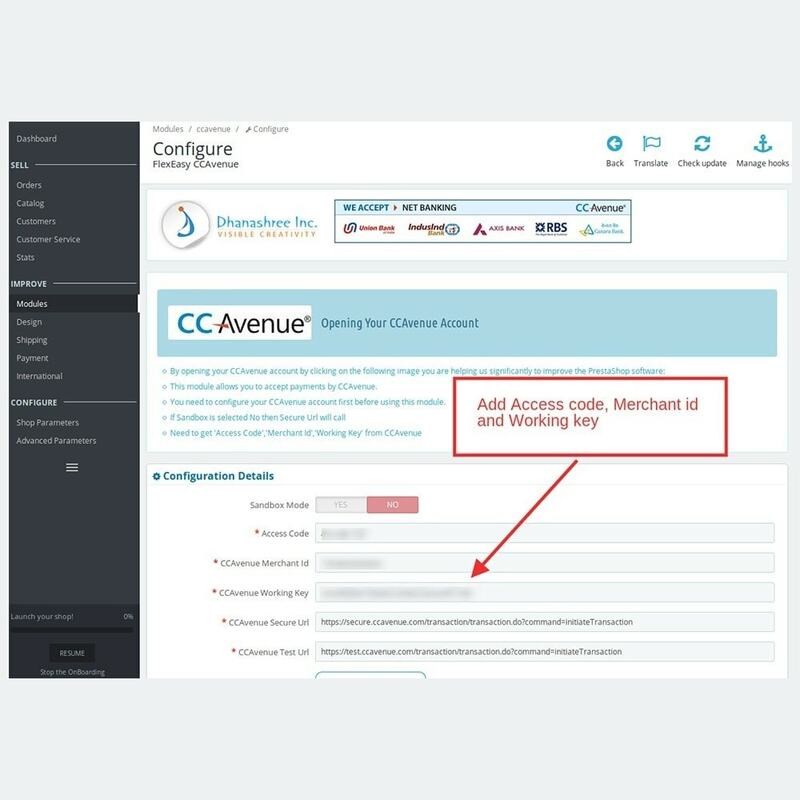 Your customers are assured of fast and easy-to-access connections between your site, CCAvenue and the payment gateway server. This server is installed on a robust Windows platform with multiple processors with RAID 10 (mirrored and stripped), and a dual ported controller, which allows quick and easy completion of transaction authorization. The transaction is completed between 20 seconds and a minute, which in turn provides a positive shopping experience to your customer, resulting in repeat purchase of your products/services. 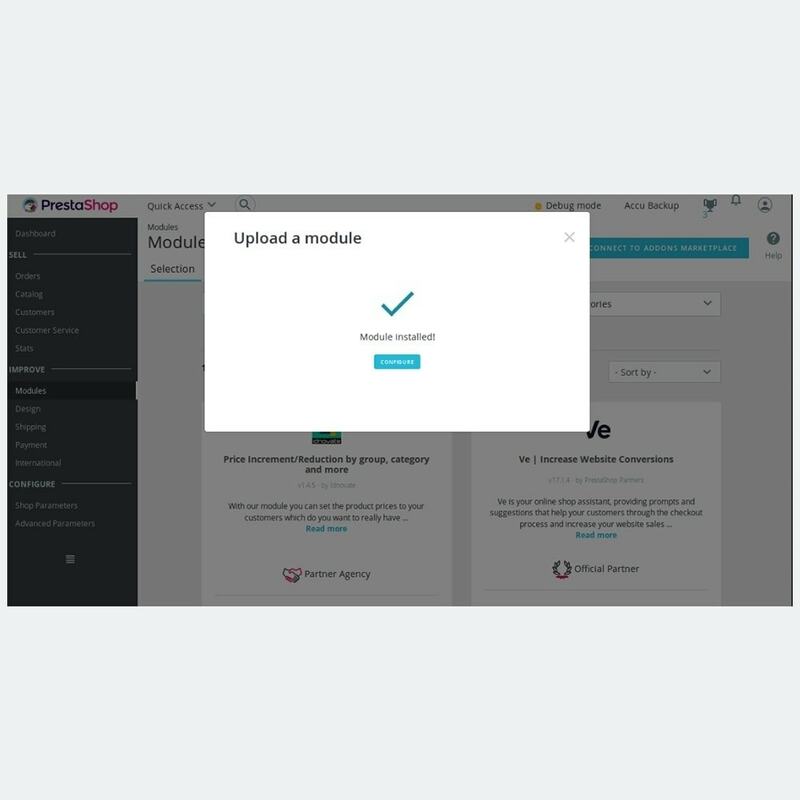 FlexEasy CCAvenue Payment Integration is easy to install as like other module install in Prestashop. No need any further requirements. 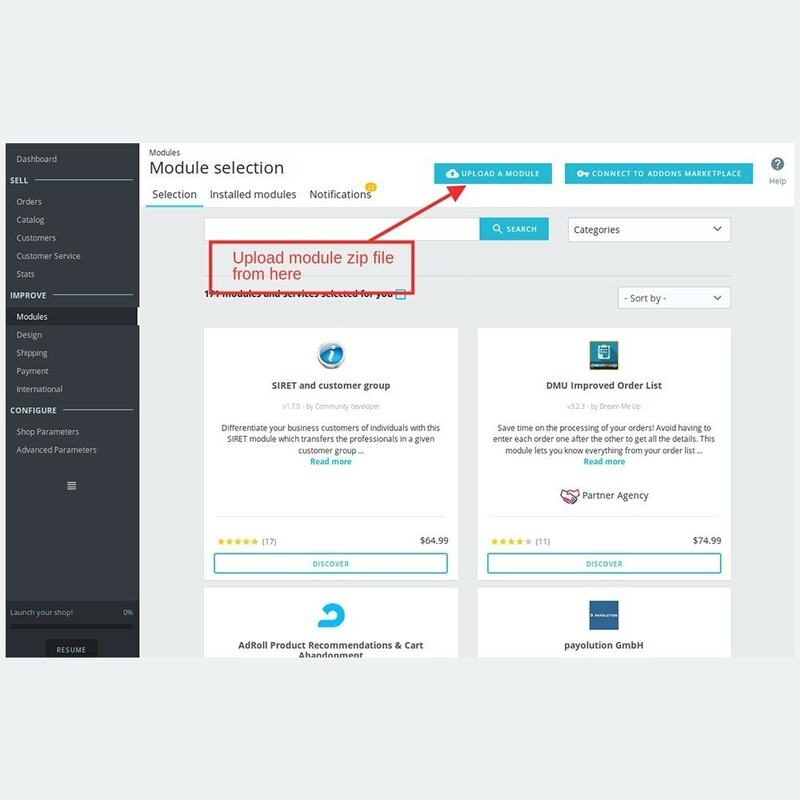 Yes its easy, there are some configuration setting require to set only in module. FlexEasy CCAvenue Payment Integration helping customer to pay for their orders online with Indian INR currency. Customers can get many payments options like. FlexEasy CCAvenue Payment Integration module requires CCAvenue account enabled. Require CCAvenue Access Code, Working Key and Merchant ID. We are providing latest CCAvenue Version. It is not supported older (mars) CCAvenue. 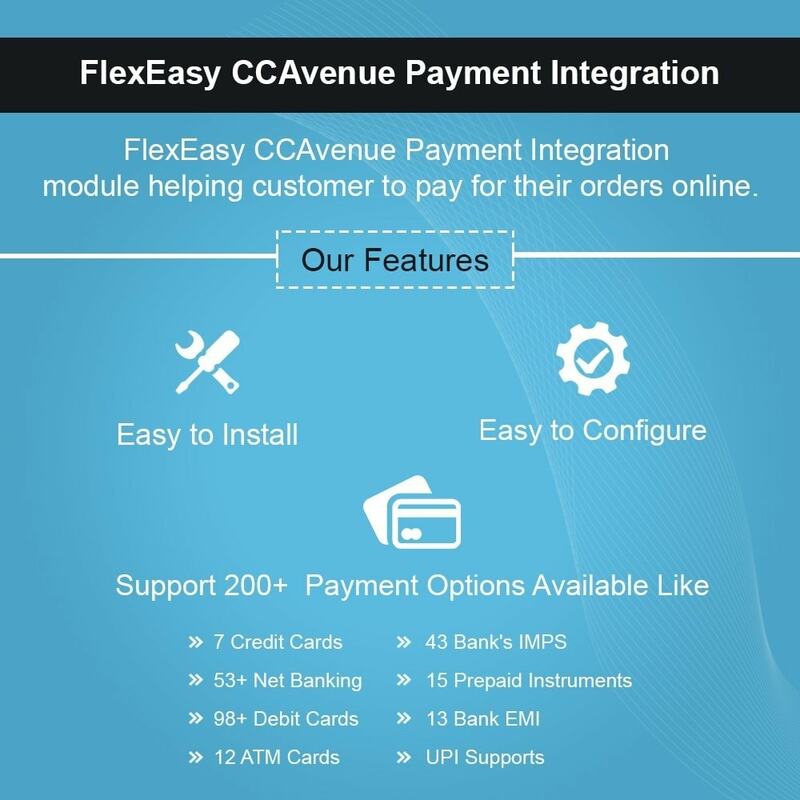 The Installation process of FlexEasy CCAvenue Payment Integration is very easy. You can just upload Zip file on Module Page and Install it. After Installation you can add configuration info and update it. Now your FlexEasy CCAvenue Payment Integration on your website .